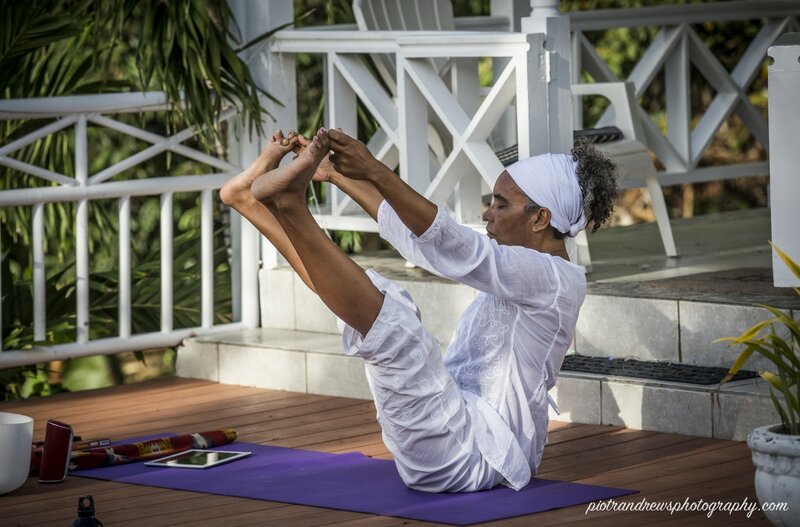 Thou Art Yoga's ﻿W.O.W. 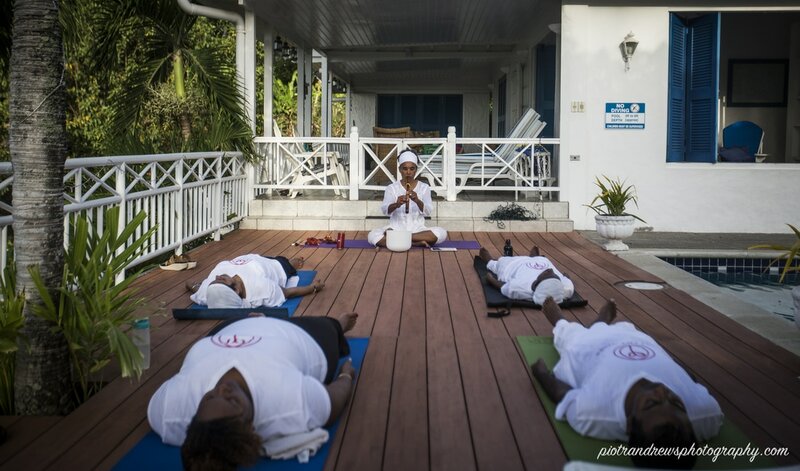 ﻿(Wonderful One Weekend) Retreats in TOBAGO, W.I. are just what you are looking for—inside and out. Now available: ﻿﻿﻿​JUST FOR YOU﻿﻿﻿ and JUST FOR TWO and SMALL GROUP Retreats. 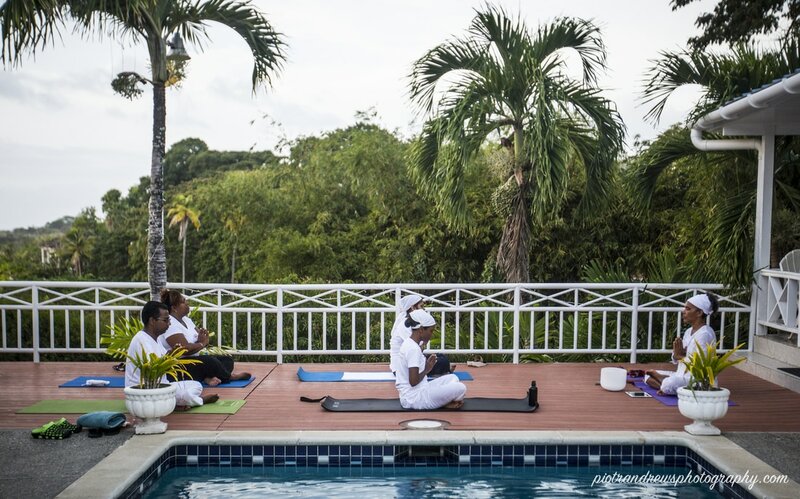 Each individually customised Just for You Retreat is designed for one person at a time—You. You will spend uninterrupted quality personal time in a supportive, relaxing space ... to let go, find answers, be inspired, create new possibilities and meet someone wonderful ... Yourself. * Customised W.O.W. 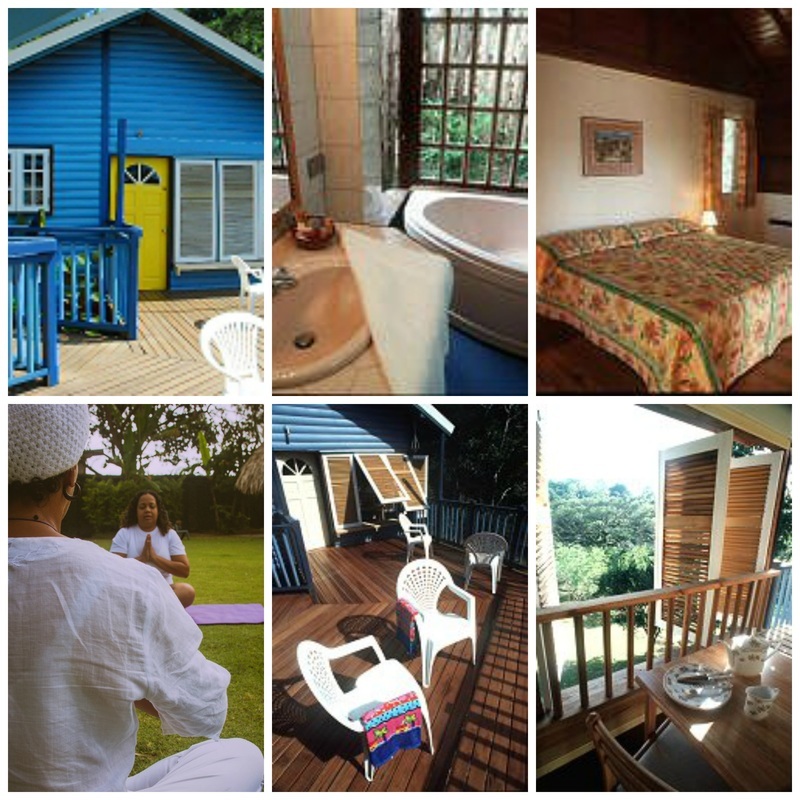 (Wonderful One Weekend) Retreats are held at locations that allow & embrace silence, nature and privacy. * Retreats are possible based on availability of the accommodation and can also be facilitated on weekdays (where feasible). * Alternative healing treatments (massage, Reiki, etc) may be booked in advance depending on availability of external practitioners. (Not included in retreat price. Rates vary per practitioner). Photo: Robert Yeates; Location: Kariwak. Since 2009, I have tried various yoga classes (vinyasa, moksha, ashtanga, hatha) and became a fan as yoga was a great way to exercise and de-stress. I never tried kundalini yoga till I was given an extraordinary gift for my birthday, a WOW (Wonderful One Weekend) retreat This was a customised, one on one retreat where it’s all about you. My hostess and guide during this journey was the exceptionally talented, incredibly creative Elspeth Duncan. I had no idea what I was in store for. 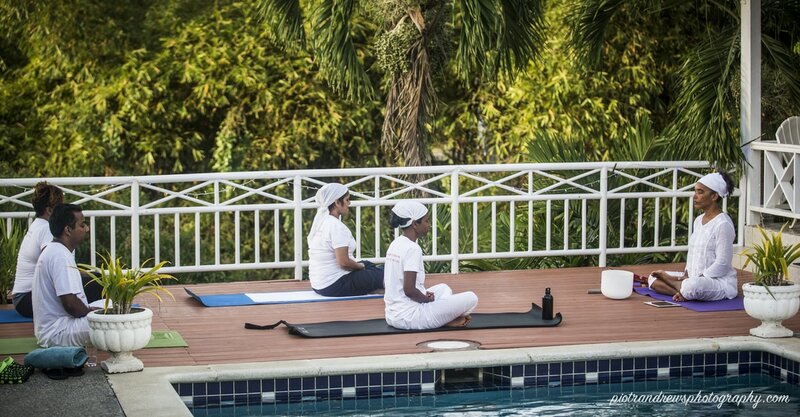 As part of this retreat, Elspeth introduced me to kundalini yoga which was quite different from the other forms I have had experience with. This connected with something far deeper than just the wonderful physical benefits, it resonated with my soul. With Elspeth as my teacher and guide, her enthusiasm was infectious. She kept the practice sessions simple and customised to my needs. At the end of these sessions I felt renewed, inspired, energised and grounded. This overall feeling of well-being stayed with me and continues to this day! I highly recommend Elspeth’s retreats and classes. Many of us lead stressful lives where emotional reserves are drained. This compromises our ability to cope and successfully surf the uncertainty that is life. Time with Elspeth literally energises our batteries and refills these precious reserves. The stars truly shine brighter after. 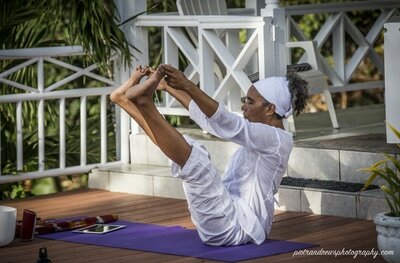 I had opted to do a much needed solo retreat with Creative Coach Elspeth Duncan/Tek Har Kaur. The entire weekend was beautifully tailored to suit all the requests I had made in planning the experience with Elspeth, yet flexibility allowed us to go with the flow. There was an awesome balance in how Elspeth and I interacted. I had sufficient time to disconnect, connect and re connect with ME. This was done through lovely kundalini yoga sessions as well as creative activities throughout the day. I also managed to get a lot of personal time as well. In its entirety I left feeling reinvigorated and happy. I left feeling whole again. 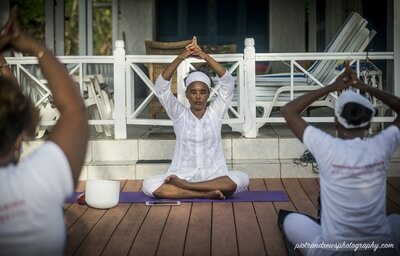 ﻿﻿ABOUT ELSPETH﻿﻿ - your hostess and Kundalini Yoga instructor. 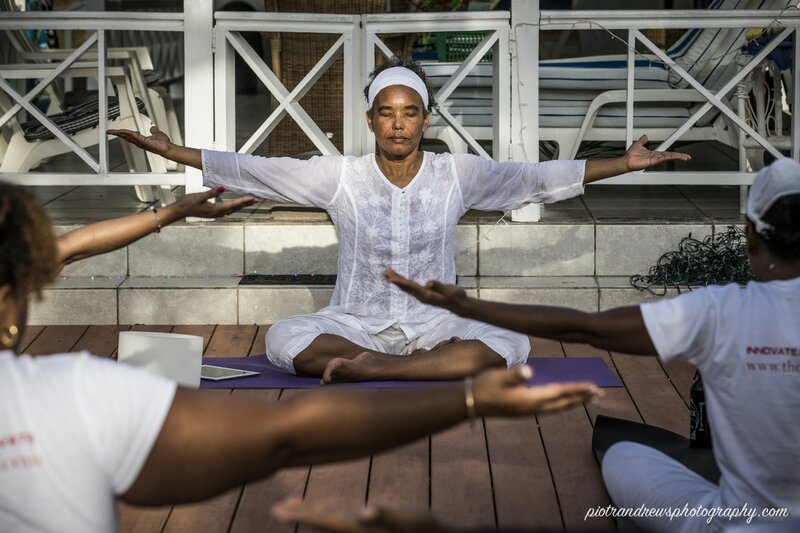 Elspeth Duncan is a KRI certified Kundalini Yoga instructor, published writer, newspaper columnist, photographer, musician and award-winning film maker living in Tobago. 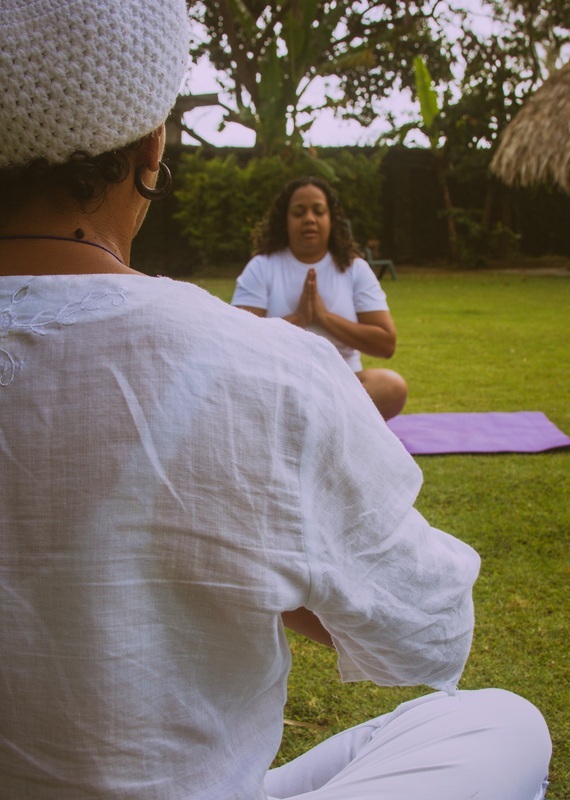 She is the founder of Thou Art Yoga—offering classes (solo and group) and retreats--and founder/owner of the two-person restaurant Table for Two Made for You. For more info and links to her work online, please visit the ABOUT page. 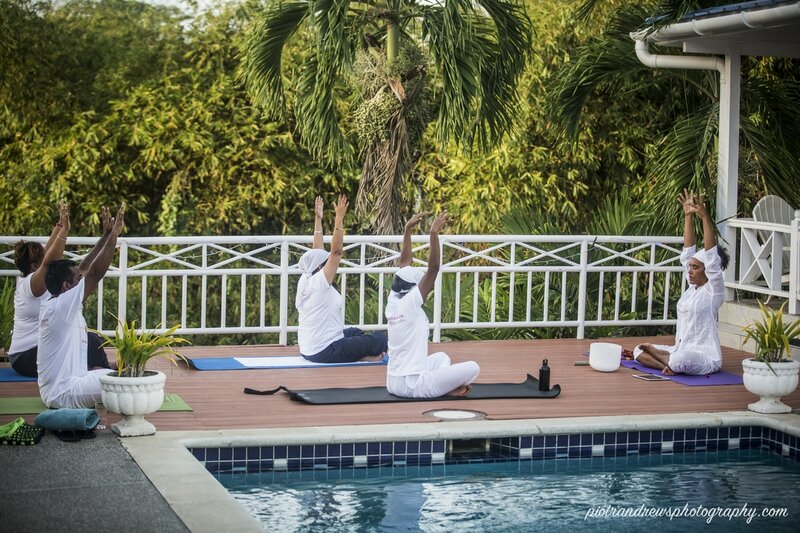 To inquire about booking and other retreat info, please use the contact form at this link. Looking forward to hearing from you. 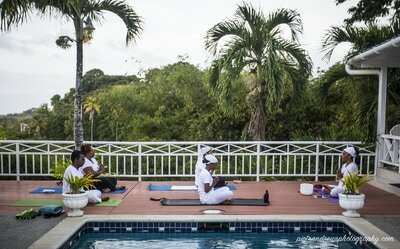 IMAGES FROM PAST Thou Art Yoga WOW RETREATS at different locations.